respectively. The FLX 50 is small and compact, perfect for close range work and is activated by a trigger. 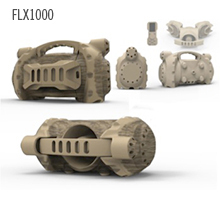 The FLX 100 has a long-range remote and both the remote and the unit can activate the call. spot for features, functionality and price. the many, varied uses of a FLX Series Electronic Game Call.